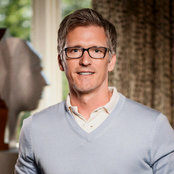 Eric Brown Design is known for creating luxurious environments for unique properties. We aspire to do the unexpected and avoid looks that cater to trends. Our design solutions rely heavily on historical references, but our narratives are decidedly imaginative. The results are timeless. We create eclectic combinations using unusual objects, furniture styles, and art while placing great attention on comfort and light. Our list of projects has included city dwellings, country homes, resort properties, yachts, restaurants and corporate headquarters. 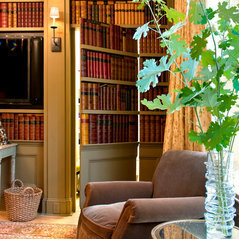 My house is absolutely stunning thanks to Eric Brown Design. I bought an old home and renovated everything. I couldn't have done it without his vision that he had! I highly recommend him! Commented: TubThe tub came from Renaissance Tile &amp; Bath in Atlanta, GA. The Vanity is custom made cabinetry. 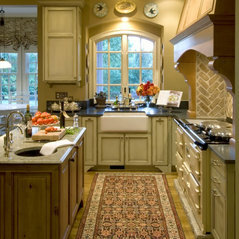 Commented: Bathroom remodelThe flooring came from Ann Sacks in New York. Commented: Love this dining room!The Dining table was custom made in England. The Chairs did not come with the table. Commented: BeddingWe had all the bedding custom made. Each component is from a different source. 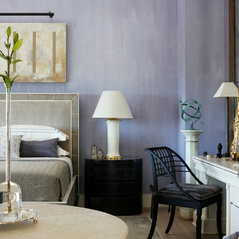 Commented: Paint color?Its a Benjamin Moore color called Whisper Violet applied as Venetian plaster. Commented: what is the wall color shown?The walls are finished in an off white Venetian plaster application.